VALDOSTA, Ga. – In a concerted effort to improve the development of academics and life-skills as they pertain to student-athletes throughout their careers at Valdosta State, Blazer Athletics is proud to announce the installation of a new Director of Student-Athlete Development position within the ranks of the VSU Athletic Administrative Staff. Shifting from her longtime role of Associate Head Women’s Basketball Coach for the Lady Blazer basketball program, Jennifer Grubbs has accepted the position and will begin her new role in July. “Our student-athletes are our greatest asset. Without them, none of the success that we have enjoyed would be possible. This position gives VSU Athletics the ability to invest in our student athletes as they have invested themselves in Valdosta State,” said Grubbs. The exciting addition of the aforementioned position was made possible in large part thanks to the Strategic Alliance Matching Grant (SAM Grant), which is designed to provide financial assistance to Division II conferences and member institutions that are committed to enhancing gender and ethnic minority representation in intercollegiate athletics. Grubbs has a vision of helping student-athletes develop skills beyond those learned on the court or field. With her guidance, each of VSU’s players will have an opportunity to learn more about various skills that are relevant to that particular student-athlete, depending on the stage of their collegiate career. Freshmen might benefit from advice on study habits, for example, whereas an upper classman can receive instruction on how to appropriately and effectively apply for a job. Grubbs’ familiarity with the institution will serve as a major asset as she takes on her new position in the months and years to come. She has been an employee of the Valdosta State Athletics staff for 16 years as a member of the Lady Blazer basketball coaching staff and an instructor in the Kinesiology and Physical Education department. 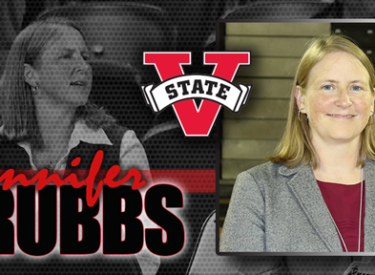 In addition, Grubbs has served as Blazer Athletics’ Senior Woman Administrator (SWA), a role which she will retain alongside her new position. In conjunction with Head Coach Carley Kuhns, Grubbs recently helped lead Lady Blazer basketball to one of the most successful seasons in program history, as the team went 22-10 during the 2016-17 season en route to the club’s first Gulf South Conference Championship since 1984. The title marked just the third in program history and earned the team an appearance in the 2016-17 NCAA South Regional Tournament. Reinhard will begin accepting applications for the open Lady Blazer basketball Assistant Women’s Head Coach position in late June, and Grubbs will assume her new role on July 1st.